The silver has been etched during this process, resist is applied to the silver in the form of an image. This layer is protected during the etching process and the area which has not been protected the layers of silver which have been exposed to chemicals are eaten away. Pendants and brooches have been made using this process. 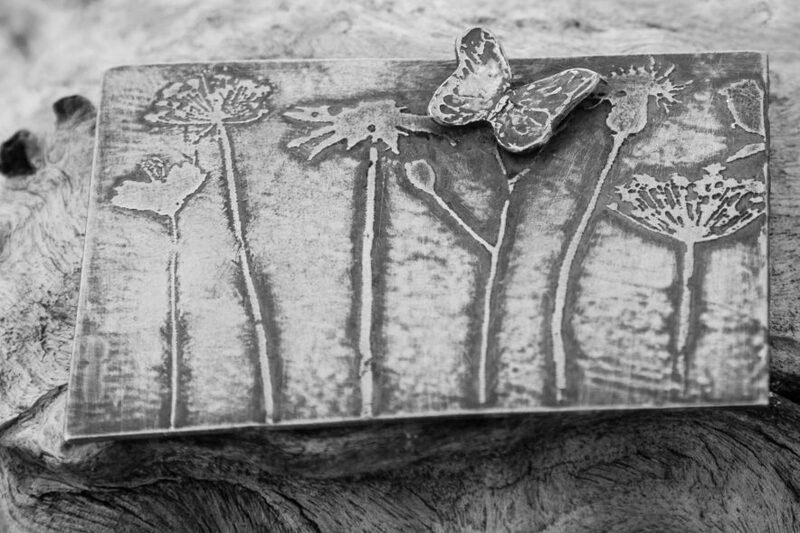 Sometimes after the etching process the surface of the silver is oxidised to bring out the detail of the piece.